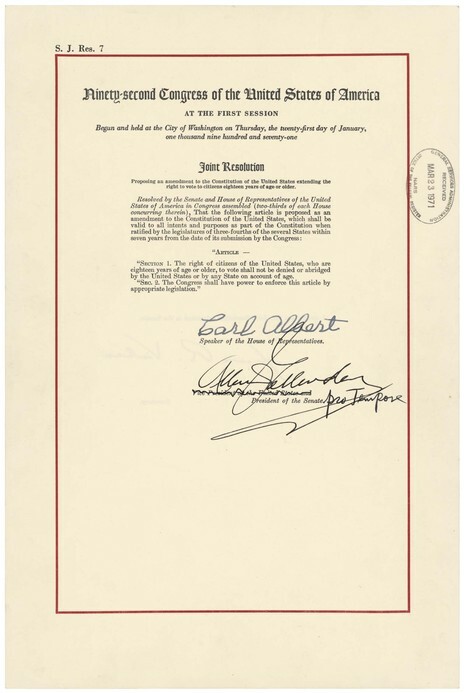 The Twenty-sixth Amendment (Amendment XXVI) to the United States Constitution standardized the voting age to 18. It was adopted in response to student activism against the Vietnam War and to partially overrule the Supreme Court's decision in Oregon v. Mitchell. It was adopted on July 1, 1971. The voting age had previously been 21.